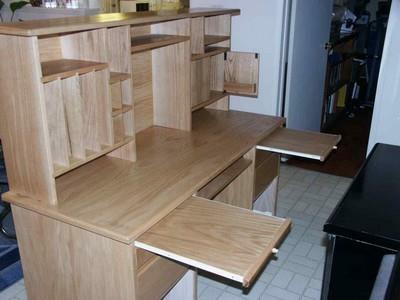 Build a beautiful piece of furniture with these free woodworking plans for a computer desk. Make a well-built workstation for your computer. Non-computer desk plans are listed on the desk plans page. 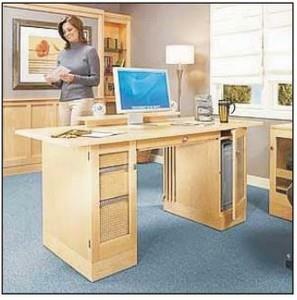 This is a great computer desk with a hutch for extra storage of office items and convenient pull outs. Made of maple and maple plywood this computer desk is sturdy and easy to build. 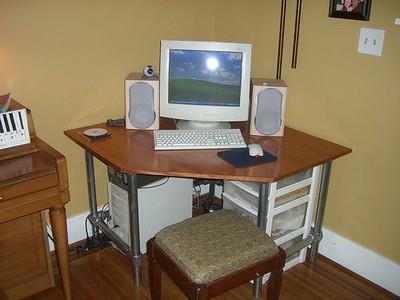 Here are easy step by step plans for a simple to build computer desk that fits in a corner.